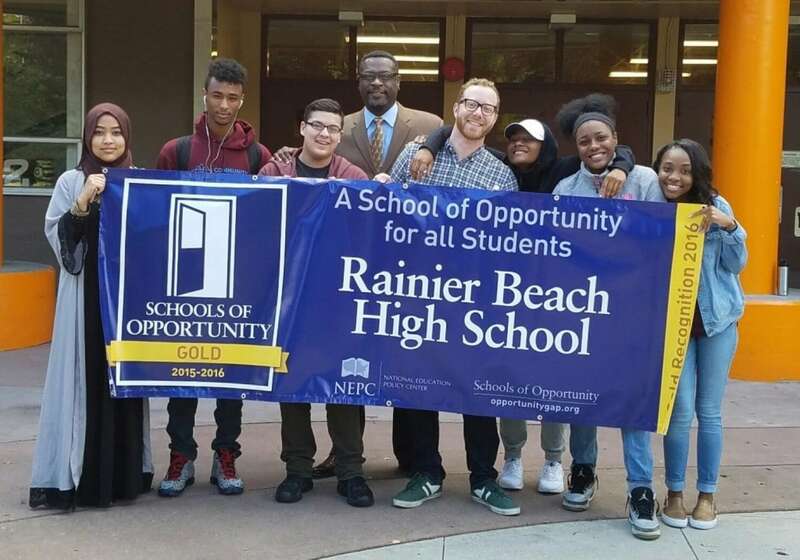 The chat focused on the story of Rainier Beach High School, a poverty-impacted, racially diverse school in a gentrifying neighborhood. Over seven years, families, community leaders and school staff leveraged conventional schooling structures—such as turnaround reforms, the International Baccalaureate program and the PTA—to disrupt the default institutional scripts of schools and drive equity-focused changes for all students. Professor Ann Ishimaru recently authored a case study about the effort, "Re-imagining turnaround: families and communities leading educational justice," in the Journal of Educational Administration. Ishimaru will be joined in the chat by Rainier Beach parent leader Carlina Brown-Banks, former principal Dwane Chappelle and teacher Colin Pierce. For more information about Ishimaru’s work to foster more equitable engagement between families, communities and schools read “Families in the driver’s seat” from Research That Matters magazine and visit the website of the UW-based Family Leadership Leadership Collaborative.